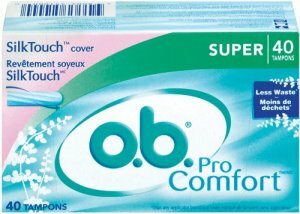 FREE Box of O.B. Tampons! - Freebies, Deals, & Cash! FREE Box of O.B. Tampons! Smiley360 is offering a FREE Box of O.B. Tampons! Simply Go HERE & see if you Qualify (Hint : On the first question, select “Tampons” (c)… Second question, Select “Yes.” – To Qualify. You will receive a box of 40ct. O.B. Tampons + a manufacture coupon for a free box. Want more Freebies?? Feel Free to Join Our Facebook Group to stay up to date on the latest Freebies by mail!